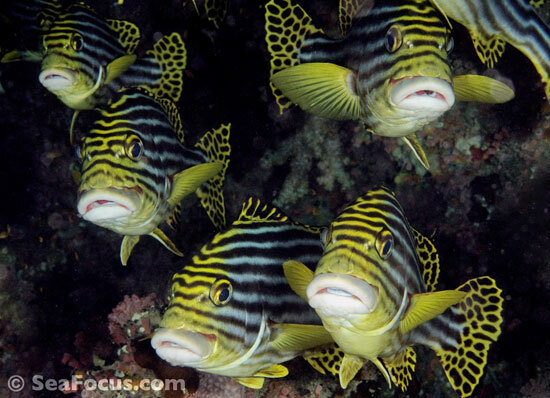 Sweetlips are named – fairly obviously – for their large protruding lips. 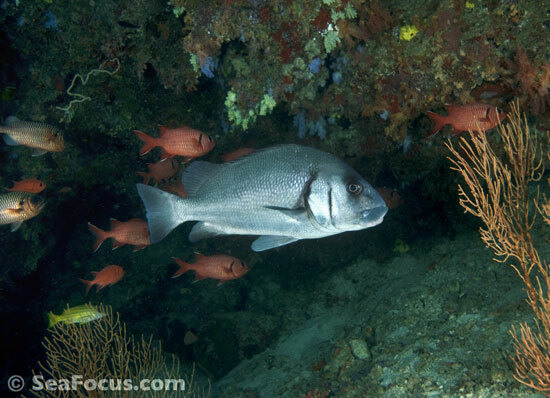 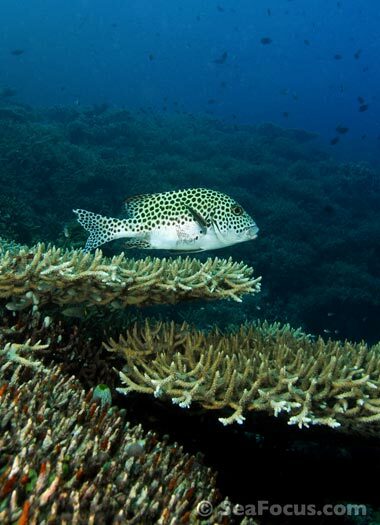 There are 35 species that live on or near coral reefs but they can sometimes be observed in brackish water as well. 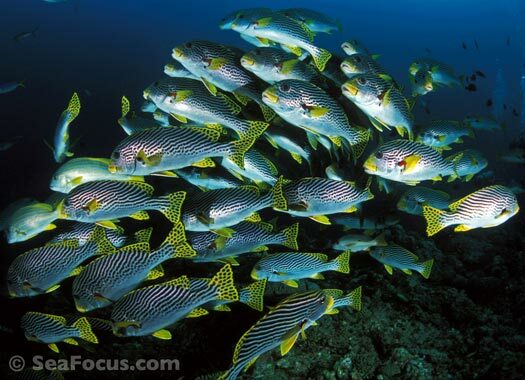 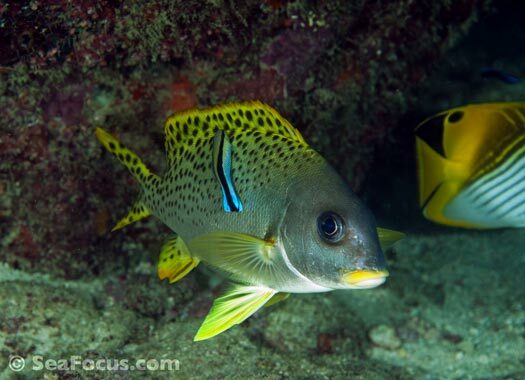 Individual species tend to live in clusters or pairs and are often found sharing "space" with sweetlips of another species or even with other, completely different fish that have a similar appearance. 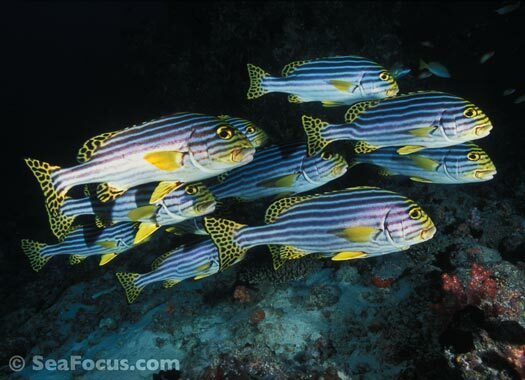 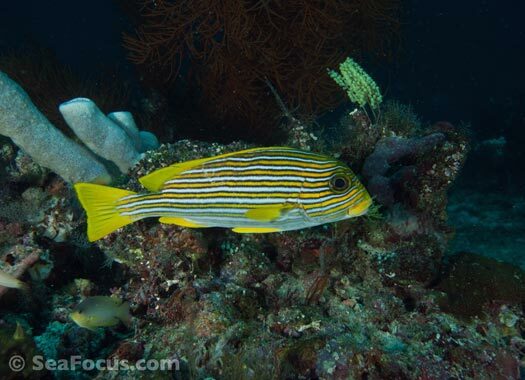 Striped snapper are a favoured collaboration (image 10 above). 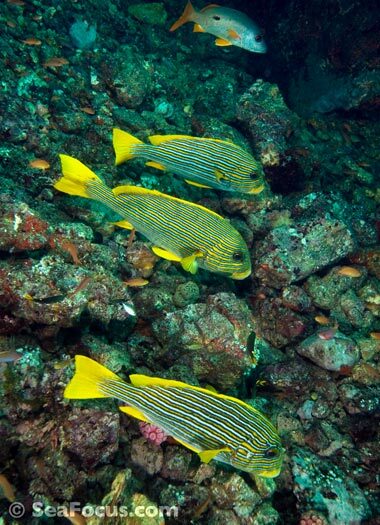 These groups live in nooks and crannies on the reef, tucked between layers of coral or hovering in small channels until dark. 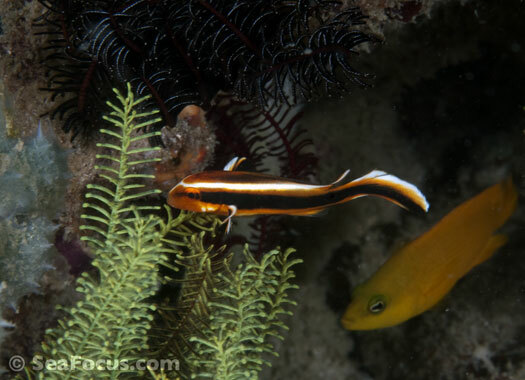 Night is their favoured feeding time when they abandon their shelter to hunt for bottom-dwellers like bristleworms and crustaceans. 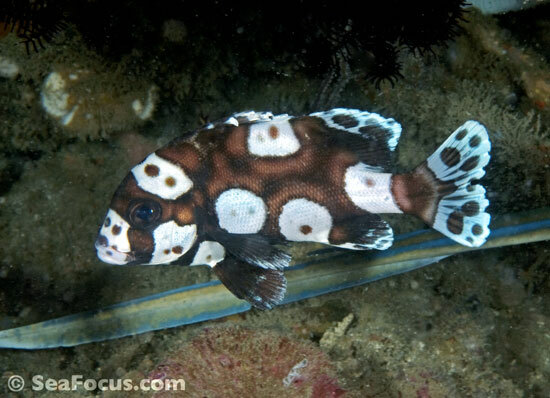 One of the most fascinating things about these fish is the way their appearance changes as they age. 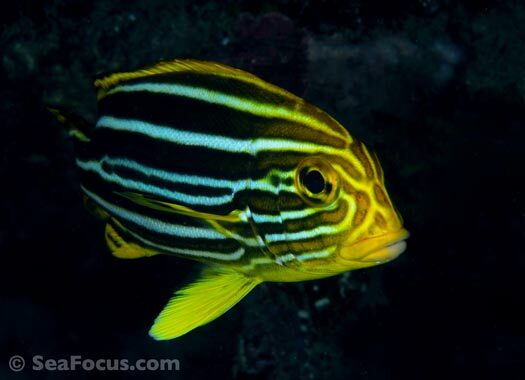 Tiny juveniles have almost no resemblance to their adult state with colours and patterns, stripes and dots all changing hue or shape. 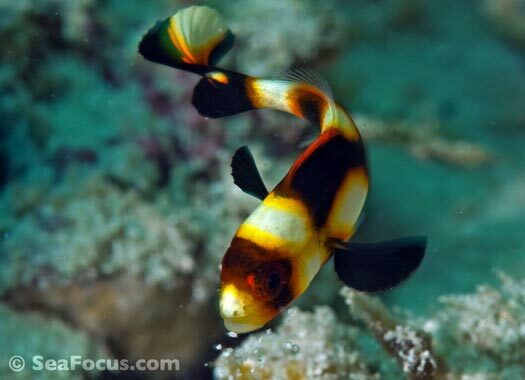 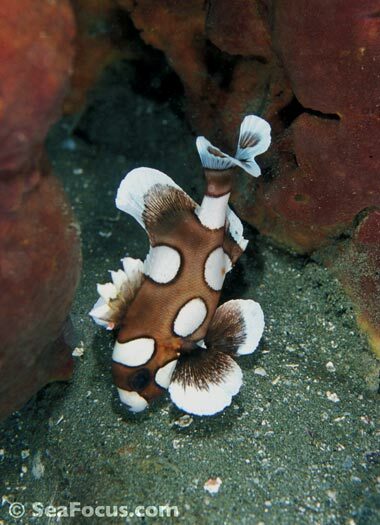 Juveniles tend to be solitary too and use an unusual form of camouflage – a weird and extremely manic fluttering motion as they swim, which is thought to mimic an undulating, poisonous flatworm. 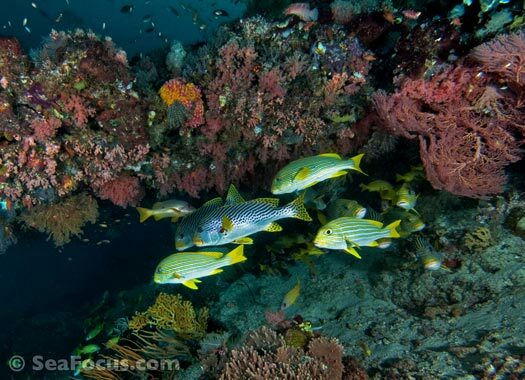 Drifting down this long and virtually vertical wall, we noted how well it was covered in pristine hard corals. 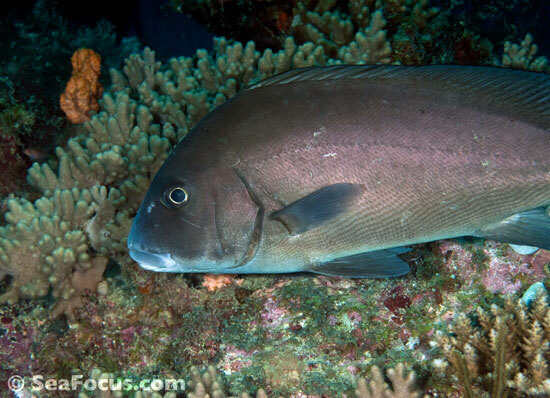 Tiny blue chromis were the principal, and in fact, almost only, residents. 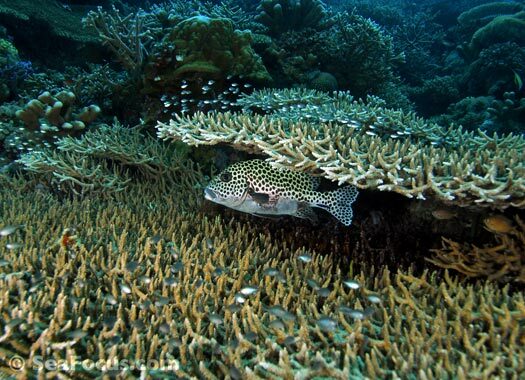 They danced above the stacked layers of prolific table corals. 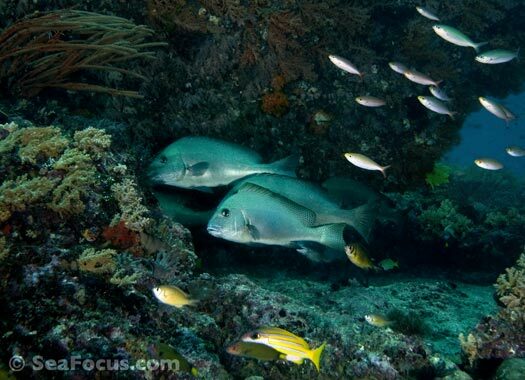 There were also some big fans and soft corals but a surprising lack of any other fish swimming about. 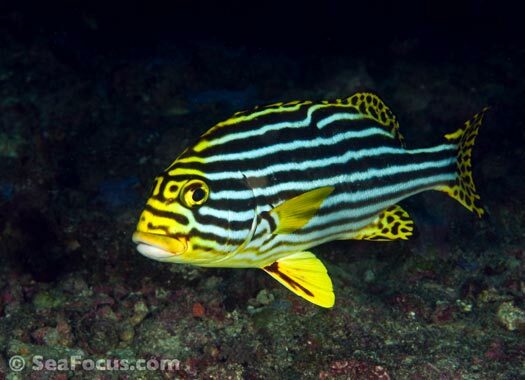 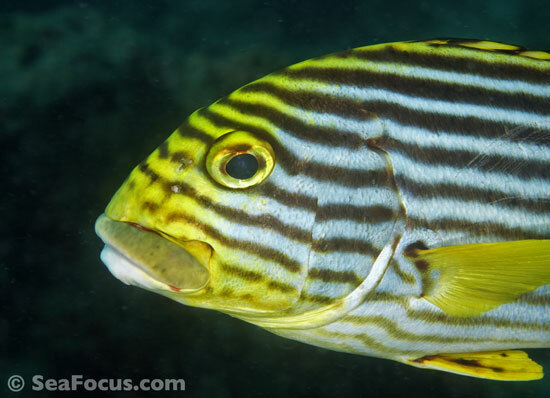 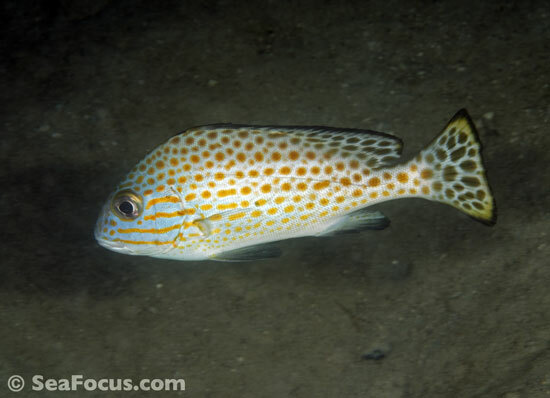 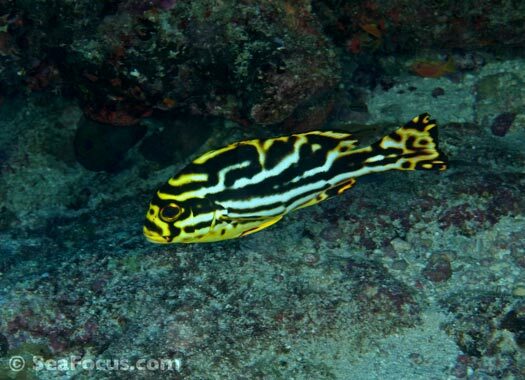 Once we spotted this sweetlips, we realised why. 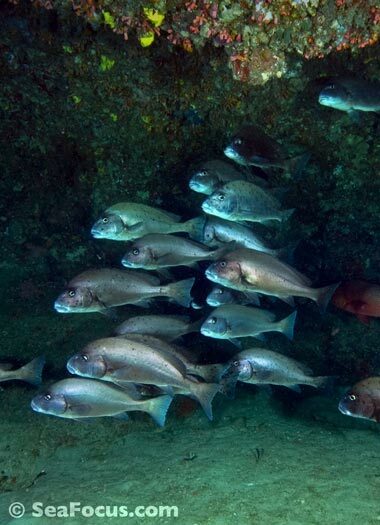 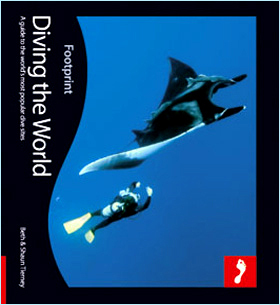 All the fish were sheltering comfortably from the current, while we mad divers were forced to keep on the move.